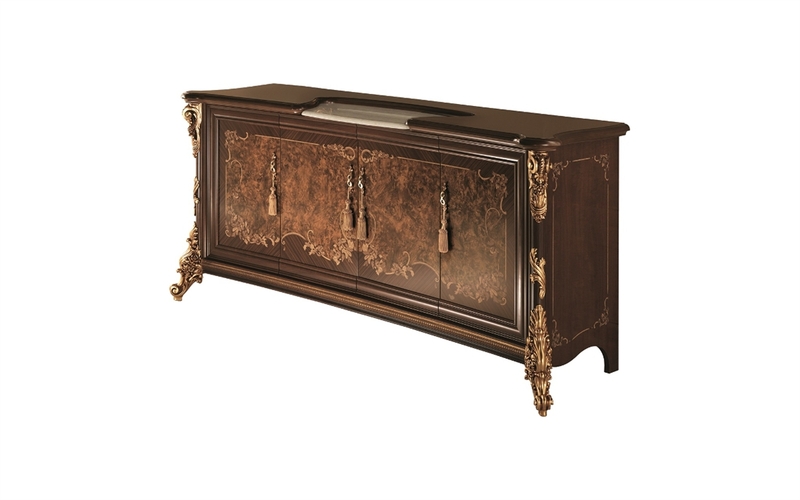 The solid and sober Sinfonia buffet structure is enriched through precious detailing. All is in perfect harmony, all the gilding has been studied for the perfect balance between form and colour, whether in the embellished columns with floral gold-leaf decorated motifs or in the handles with their antique finish. The elegant granite insert on the wooden surface creates a sophisticated material and sensorial contrast. Golden Mirrors Dining Room "Sinfonia"
Wooden Mirrors Dining Room "Sinfonia"